East Asia -- defined within the cruise industry as Japan, China and Korea -- still holds an air of mystery for many Americans and Europeans. No wonder: The region boasts a myriad of exotic experiences, from exploring bustling skyscraper cities like Hong Kong, Tokyo and Shanghai, to witnessing the simple, traditional quotidian of a rural village. Visitors to this part of the world get a peek into both an ancient culture and a fast-growing, fast-paced society. The delightful blend of old and new, foreign and familiar, is an intoxicating lure for travelers, especially seasoned tourists who have already experienced other popular regions of the world. East Asia is rich in culture and tradition and beautiful landscapes, dotted with sacred temples and shrines, historic UNESCO sites, grand palaces and castles, and world-class museums. Visitors can hike the Great Wall of China, browse the colorful street markets in Tokyo, visit the Golden Pavilion in Kyoto, tour the Chiang Kai-shek Memorial in Taipei and cruise through the stunning Three Gorges along the Yangtze River. Many cruise lines also offer unique opportunities to experience local customs and culture: dim sum cooking classes, Tai Chi and calligraphy lessons, meals in local homes and visits to traditional sumo stables to observe Japan's famed wrestlers. As more travelers add East Asia to their bucket lists, major cruise lines have responded with additional sailings and varied itineraries. Local governments have also stepped up with new up-to-date terminals and on-the-ground services. Major ports like Tokyo, Hong Kong and Shanghai, which have been tourist destinations for many years, have sophisticated port terminals and easy-to-use, up-to-date public transportation systems. Even in smaller, less-developed ports, for the most part, visitors will find clean facilities and welcoming locals. The best part of cruising in East Asia might very well be the ease of traveling in this vast and diverse region. Hop on a cruise, and you'll be able to visit many of the great cities and villages of Asia in one vacation -- only to whet your appetite to return. Winter season is the most popular time to cruise in East Asia, when the rainy season (June-mid to July) has passed and temperatures are a bit cooler. 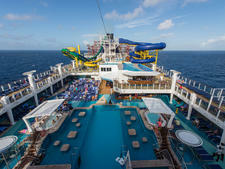 Many companies extend their East Asia cruising season, offering trips throughout fall, winter and spring. Summer can be scorching and humid, with average temperatures in the region reaching in the upper 80s, so that time of year is generally avoided. In any case, be prepared for warm, humid temperatures any time of the year, and pack accordingly. Several major cruise lines offer East Asia itineraries, as interest and investment continue to grow. 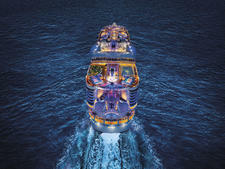 Most cruises originate in Hong Kong, Tokyo, Beijing or Shanghai. Princess -- a pioneer in the market, homeporting ships in Japan and China -- offers a variety of options, departing from Hong Kong, Tokyo, Kobe and Otaru, Japan. 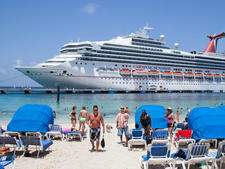 Several other major cruise companies have followed suit. Royal Caribbean International has a variety of East Asia sailings, including a popular five-day Fukuoka-to-Nagasaki route; the line also made major news when it decided to base its newest ship, Quantum of the Seas, in Shanghai beginning in 2015. Crystal has sent its two luxury ships to East Asia, offering a variety of itineraries in fall, winter and spring, including stops in lesser-known ports like Sanua, China, and Kochi and Aomori, Japan. Oceania will offer eight winter trips in 2015, including a popular Singapore-to-Hong Kong itinerary. Regent Seven Seas will be sailing five cruises in winter 2015, including a Hong Kong-to-Beijing route. Other major cruise lines offering East Asia itineraries include Holland America, Cunard, Celebrity and Azamara. East Asia ports are also included in many grand tours. Deciding on an East Asia itinerary is not an easy task. Whether you're looking for a small taste of East Asia or a more in-depth, longer visit, you'll have plenty of choices. Cruise lines offer a variety of routes, hitting major and minor ports in the South and East China Sea or along the Yangtze River. 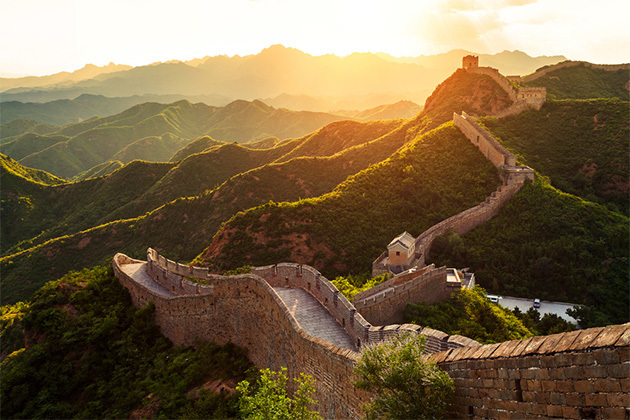 Most cruises depart from Hong Kong, Tokyo, Shanghai or Beijing; Yangtze River cruises typically depart from Chongqing, China, but often include land visits to Beijing and Shanghai. Four- to Nine-Night Cruises: There are a number of four- to seven-day East Asia cruises, and many are roundtrip excursions, avoiding flights from multiple departure cities. A typical four- or five-day Tokyo-to-Tokyo cruise might include stops in Kobe and Otaru, Japan, or Nagasaki and Busan, South Korea. A typical six- or seven-day Tokyo-to-Hong Kong cruise might feature port stops in Taipei, Taiwan, and Kagoshima, Osaka, and Okinawa, Japan. A longer nine-day Tokyo-to-Tokyo cruise might include Otaru, Hakodate and Aomori, Japan. Other itineraries visit Shanghai, China and Kochi, Japan. 10- to 14-Day Cruises: A popular 14-day cruise begins in Hong Kong and travels to Shanghai, Beijing, Jeju and Busan, South Korea, and Nagasaki and Osaka, Japan. Other cruises begin in Tokyo and travel to northern Japanese islands, including stops in Aomori, Akita, and Hakodate, Japan, and Vladivostok, Russia. Others travel to Incheon, South Korea; Beijing, China; and Fukuoka, Hiroshima, Osaka, Takamatsu and Tokyo, Japan. Some cruise lines also include East Asia ports in grand ocean cruises that often originate in Hong Kong, visiting Shanghai, China; Busan, South Korea; Kochi, Osaka, Tokyo, Aomori and Otaru, Japan; and cities in Russia, Alaska and along the U.S. West Coast before ending in Los Angeles. Others include Hong Kong as part of a Southeast Asia cruise, also visiting Vietnam, Cambodia and Thailand. River Cruises: Cruising the famed Yangtze River, the longest river in Asia and the third-longest in the world, is a true bucket list experience for many travelers. At more than 3,900 miles, it flows from the glaciers of the Tibetan Plateau before emptying into the East China Sea at Shanghai. Most cruises cover several hundred miles of the river as it flows through central China, and include a sailing through the dramatic Three Gorges. Most popular cruises are 11 to 18 days, with a land and cruise itinerary that includes tours in Beijing and Xi'an before embarking on the ship in Chongqing for the sail to Shanghai. Other itineraries extend the trip to include land tours in Hong Kong. Yangtze River cruises may also be part of grand tours that encompass visits to Macau, Tibet, Thailand and Japan. From vibrant, urban metropolises to small rural villages, cruising in East Asia offers a delightful mix of culture, sights and attractions. Here's a look at some of the more popular ports and sights. Beijing, China. Visitors to the sprawling, crowded capital city of China, will want to spend at least a couple of days there to get a general, scratch-the-surface overview. Visit the Temple of Heaven, built during the Ming Dynasty, and stroll its gardens and pathways, designed to symbolize the relationship between heaven and earth. Tour the Summer Palace, a UNESCO-designated site and former retreat for the Imperial family during the late Qing Dynasty. First-time visitors will want to make a stop at the Forbidden City and historic Tiananmen Square. Nearly all cruise lines offer at last one excursion to the Great Wall. Other excursions might include a boat ride on Shichahai Lakes, rickshaw tours of 15th-century neighborhoods, and a Kung Fu show at the Beijing Red Theatre. Hong Kong, China. The archipelago of some 260 islands has long been a fascinating travel destination. There, 13th-century walled villages, holy temples and hallowed ancient sites sit in the shadows of multimillion-dollar skyscrapers. Chaotic Hong Kong Island boasts the largest concentration of high-rise buildings in the world, a mesmerizing, modern landscape of steel, glass and stone, ablaze in neon lights. The best view of the iconic skyline is from the burgeoning Kowloon neighborhood, across Victoria Harbor, or take a funicular ride up to Victoria Peak, the highest point on Hong Kong Island, where you'll have sweeping views of the skyline, harbor and distant territories. Don't miss a Star Ferry ride along the harbor at dusk or, better yet, during the nightly laser light show. The markets, including the Ladies Market (which sells all types of clothing, small electronics and souvenirs) and the Temple Street Market, are popular with tourists and locals alike. 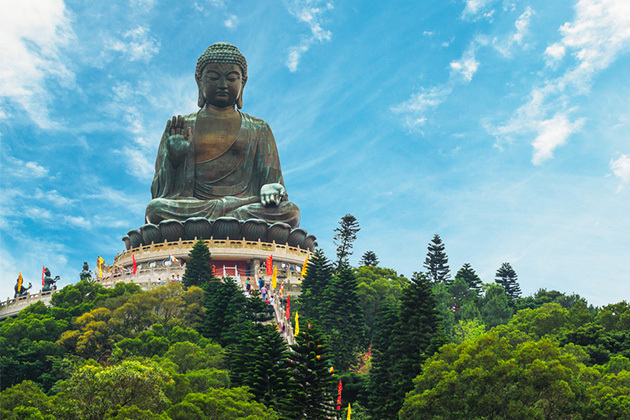 Some cruise lines offer daytrips to Lantau Island to visit a traditional fishing village, and to the Po Lin Monastery, an important Buddhist sanctuary that's home to a more than 111-foot-high bronze Buddha, drawing pilgrims from across Asia. Shanghai, China. Located at the mouth of the mighty Yangtze River, this high-energy city was once a small fishing village. Today, it's one of China's most modern metropolises. The Bund, stretching between the Woosung River and Old Town, along the waterfront, is a popular must-see tourist sight. Walking the waterfront promenade, particularly at night when the city lights shine, is a great way to take in Bund's unique skyline, which is a mix of colonial, European-style buildings and towering, commercial high-rises. Other city experiences include a walk through Old Town; a visit to Mt. Jiu Hua, a sacred and remote Buddhist temple complex; and city architectural tours, including a look at the controversial Oriental Pearl TV and Radio Tower, the 1,614-foot-tall Shanghai World Financial Center and the 88-story Jin Mao Building, the second-tallest skyscraper in China. Tokyo, Japan. The capital of Japan, one of the most populous cities in the world, has more than 13 million people, and it's the country's center of commerce and culture. It's seen disaster, including the deadly earthquake in 1923 and bombing in World War II, but it looks brand new and thriving today, with a sprawling mix of lively neighborhoods. Downtown Ginza is a shopper's mecca, with blocks of famous designer shops. 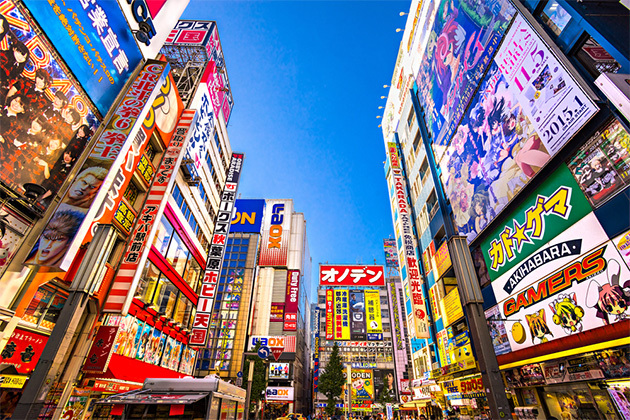 Neighborhoods like Shibuya, Shinjuka, Ropponji and Asakusa hum with youthful energy, and they're overflowing with bars, street vendors and local shops, all linked by a modern metro system. Visit Tsukiji, the gritty wholesale fish market-- the largest in the world -- and browse the surrounding shops. This is also the place to sample fresh sushi at one of the many small restaurants. Other top attractions include Senso-ji, the city's oldest and largest Buddhist temple, Meijo Shinto Shrine and the Nakamise Street market, full of local foods and souvenir shops. Kyoto, Japan. Many cruise lines include bus excursions to this ancient city, which once served as the capital of Japan and the emperor's residence for more than 1,000 years. Today, it's home to several impressive UNESCO World Heritage sites. 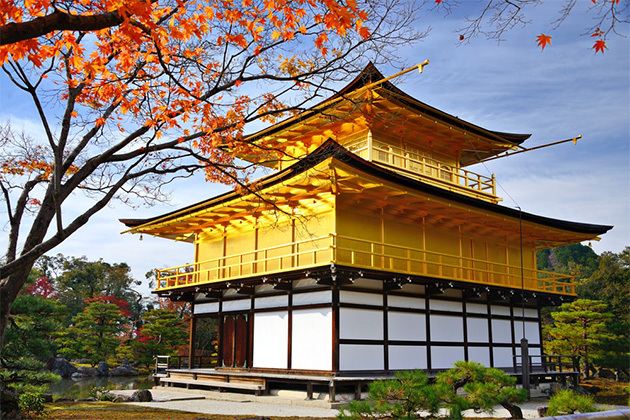 Major attractions include the famous Kiyomizu-dero temple, dating back to 780. Set over a waterfall, the temple includes a stage with sweeping views of the tree gardens below. Kinkaku-ji (The Golden Pavilion) is a striking sight, set on the shores of a reflective pond and surrounded by bonsai trees and gardens. Ginkaku-ji (The Silver Pavilion) dates back to the 1480s and is now a Zen temple. Ryoan-ji temple is famous for its mysterious dry rock garden. Adventurous passengers with extra time in the city might want to check out the Gion neighborhood, a Geisha district, with wooden buildings and teahouses. Taipei, Taiwan. 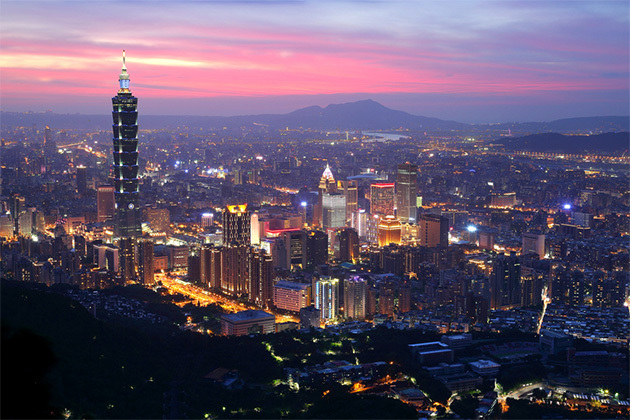 The capital of Taiwan is clean and cosmopolitan, with world-class landmarks and museums. The National Palace Museum is home to nearly 700,000 pieces of ancient Chinese art and artifacts, many from the Forbidden City in Beijing, brought to Taipei by Chiang Kai-shek in 1949. Chiang Kai-shek Memorial Hall highlights the life of the controversial president of the Republic of China. Outside the museum, there's a large public plaza, surrounded by Chinese gardens, the National Concert Hall and National Theater. Many visitors head to the top of Taipei 101, which was the world's tallest building until 2010, where they have fine views of the city and surrounding countryside. A tour of Taipei wouldn't be complete without a visit to one of its famous night markets, including the Raohe Street Market, Shilin Night Market and the flower and jade markets. Busan, South Korea. The country's second-largest city, dubbed the "Summer Capital of South Korea," is a lively seaside resort town, ringed by picturesque mountains. Passengers often elect to spend time at Haeundae Beach, with nearby seafood stalls selling local delicacies like lobster and live octopus. Visit Beomeo-Sa temple, set in the mountains outside the city center, and the seaside Haedong Yonggunsa temple. If you're hungry and feeling adventurous, head to Jokbal Golmok (Pig Feet Alley) for a local favorite fast food dish: a plate of sliced pig's feet served in a soy, ginger and garlic sauce. Three Gorges, China. The magnificent Three Gorges (Qutang, Wuxia and Xiling) stretch some 70 miles along the Yangtze River. Sheer rock cliffs tower up to 4,000 feet, and dramatic, nature-made rock sculptures line the narrow mountain passes. Go beyond standard tours. 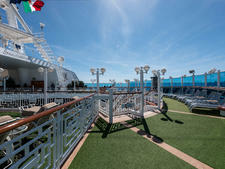 Most cruise lines offer guided excursions to the major sites and attractions. 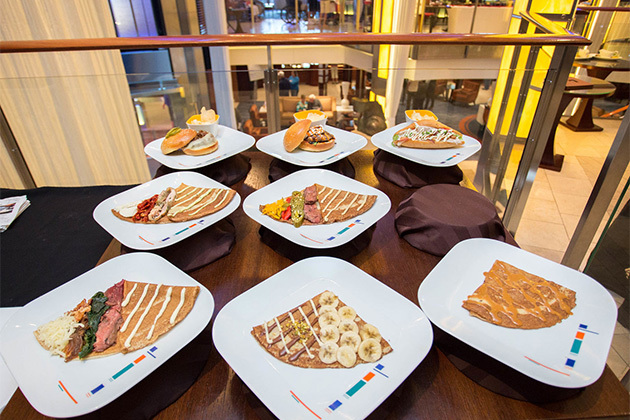 But take advantage of some of the specialized and more personal experiences that might include sushi and dim sum cooking classes, private dinners in local homes, market tours, and theater and sumo wrestling presentations. These experiences generally offer a greater understanding of the culture and a peek into the daily life of the people. Bathroom facilities vary greatly. Even in large cities, sometimes only "squat" toilets are available. In some instances, small fees may be charged, so keep some local change on hand, as well as sanitary wipes, Kleenex and hand sanitizer. Often it's more reliable (and more pleasant) to use the facilities in major hotels or tourist-friendly restaurants. In general, East Asian cities are safe. Locals welcome foreign visitors with friendly smiles and helpful advice. Of course, as in most busy cities worldwide, there may be pickpockets. So, be smart about it: Don't carry wads of cash. Keep your purse, wallet and backpack closed and close to you, and don't wear flashy, expensive jewelry. English is widely spoken. It's particularly prevalent in shops and restaurants and at major tourist sites in larger cities, but even in smaller town and villages, there's be someone on staff or nearby who can speak a bit of it to communicate. As in most places in the world, universal, exaggerated hand motions can often work in a pinch. Keep your cool. Most East Asians are respectful, warm and gracious, and avoid public displays of aggression, loud talk or arguments. If you adopt the same gentle, open and welcoming behavior, you'll likely enjoy this vibrant part of the world -- and perhaps, make new friends along the way.